Pastors, Don't Commit "Greek Apostasy!" One of my favorite professors in seminary was Robert Plummer. I put his Hermeneutics class in my list of Top 5 Seminary Classes, and I also did a Greek class on James with him. A couple years ago, I interviewed him about the book, Journeys of Faith. Today, I want to introduce a free online resource designed to help busy pastors maintain their Greek language skills post-seminary. Trevin Wax: When I talk with pastors about studying the biblical languages, they often talk about their love for Greek (Hebrew is another story!) and their appreciation for what they learned in seminary. Sometimes, they admit they don’t use their Greek as much as they used to, and they are worried they will lose it. What changes from seminary to pastoral ministry that leads to a looser grip on Greek? Rob Plummer: Studying Greek in college or seminary is an artificial environment. Tests and quizzes hold you accountable, you are paying for the instruction, and your regular life is somewhat “on hold” as you focus on acquiring more knowledge and skills. You have a peer group around you, helping move you forward. You have a brilliant and inspiring professor. (ha!) And, if you don’t keep up with your Greek, you’ll get a poor grade or fail. These outside strictures are a blessing—working together to bring students to an acceptable skill level in NT Greek. When you leave the seminary environment, however, you simply need to face with stark honesty the danger of your apostasy from the language you have come to love. I am a pastor too, and I know of the many, many real and pressing needs that constantly clamor for our attention. Many pastors begin well, planning to use Greek in ministry – but Greek soon goes the way of the new diet or exercise routine. Trevin Wax: How did “Daily Dose of Greek” come about? Rob Plummer: I turned 43 this year, and I realize that I likely only have 20 or so years left of full-time teaching. I asked myself what I really wanted to accomplish and in what ways God has gifted me. I feel like God has gifted me with a love and ability to teach Greek – but one frustration I have is the erosion of many students’ Greek abilities after they graduate. The “daily dose of Greek” website is part of my ongoing life work to leave behind a vast spiritual army of men and women knowledgeable in and zealous for the word of God. While I was re-taping online Elementary Greek this last summer, I got excited about the tablet and recording technology we were using. I realized it would be possible to produce a series of daily screencasts. An officer in our Society, Brad Clark, has been a constant source of creativity and encouragement in this project. Another member, Jack Brannen, designed the “double delta” brand graphic. Another member, Joel Wildberger and his wife Katherine Anne, taped the welcome video in their apartment. (Katherine Anne is an amazing wedding filmmaker.) Also, Brian Renshaw in the online SBTS office was invaluable in researching and acquiring the new screencast technology I am using. Creating the website has been more like rolling down a hill than climbing up one. It has naturally progressed – and the response has been enthusiastic. I’ve received personal messages of thanks from Germany, China, Australia, etc. People from 75 different countries have visited the site. Trevin Wax: I’ve been using “Daily Dose of Greek” ever since I found out about it. I watch the video while my tea heats up every morning at work. (Seriously!) What other tools should we be using to keep our Greek skills fresh? (1) The UBS Greek New Testament: Reader’s Edition with Textual Notes. 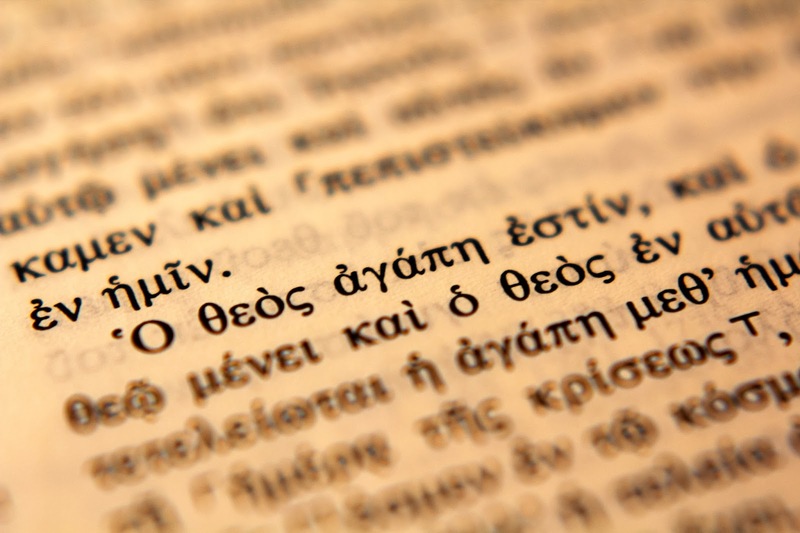 The Greek text is the United Bible Societies’ critical text of the Greek New Testament. The volume includes glosses (brief definitions) at the bottom of each page for words that occur thirty times or less. Parsing information with difficult grammatical forms is also sometimes provided. Very abbreviated information about the most significant textual variants is given. (2) Zondervan’s Reader’s Greek New Testament. The Greek text is the same as the UBS or Nestle-Aland text except in a very few cases, which are footnoted. At the bottom of each page, brief glosses are provided for all words that occur thirty times or less. No parsing help is provided. The second edition also includes a mini-lexicon with definitions for all words that occur more than thirty times. NT Discourse, by Steve Runge: www.ntdiscourse.org. Trevin Wax: How many people are subscribed to Daily Dose of Greek? What has the response been so far? Rob Plummer: 2,725 subscribers. We have had overwhelmingly enthusiastic response. I pray I can live up to the expectations. Trevin Wax: What disciplines do you recommend for us to keep up our familiarity with Greek? Read the Greek New Testament in your daily devotions. Don’t be afraid to use the digital tools or reading helps mentioned above. 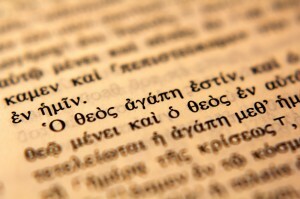 Some Christians will be able to read a chapter of Greek every day; others could aim for five to ten verses. Some daily readers like to overlap with the previous day’s reading to help solidify unfamiliar vocabulary. Include Greek study in your weekly ministerial preparations. Whether preparing for a Sunday School lesson, exposition of a text in a denominational newspaper, or a sermon, the pastor should make study of the Greek New Testament a regular part of his teaching preparations. When Greek study is incorporated both into your private devotions and formal ministry preparations, you have a good chance of faithfully journeying in the Greek New Testament for your lifetime. Southern Baptist statesman Jerry Vines reports that he reads through his Greek New Testament every year. Take a “Greek retreat” once or twice a year in which you read longer sections of the New Testament, a technical Greek resource, or a Greek grammar. The Greek retreat need last no more than a day or weekend. Teach Greek. One of the best ways to learn something is to teach it. Teach Greek to your children, at the local Christian school, or at a Christian college or seminary. You can also volunteer to tutor Greek students in different settings. For more information, check out Daily Dose of Greek. Also check out Dr. Plummer’s forthcoming intermediate Greek grammar, Going Deeper with New Testament Greek, from which some of this interview was adapted. Dr. Plummer Daily Dose of Greek Intro from Daily Dose of Greek on Vimeo.